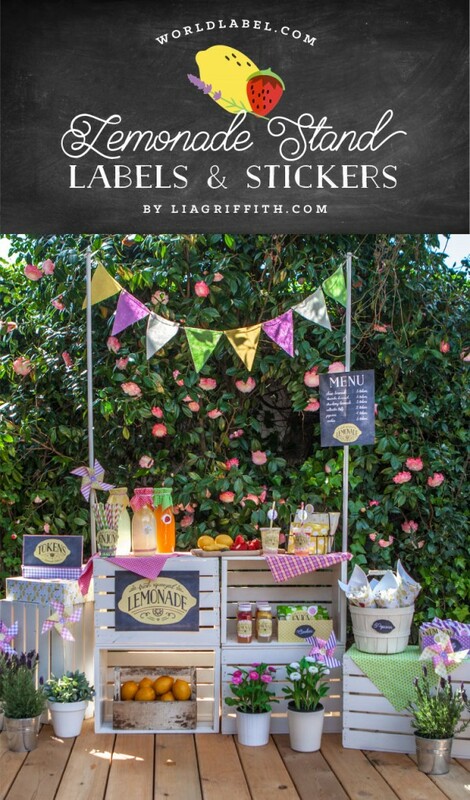 This adorable label set has been designed by the team at Lia Griffith for a handcrafted children’s lemonade stand party. 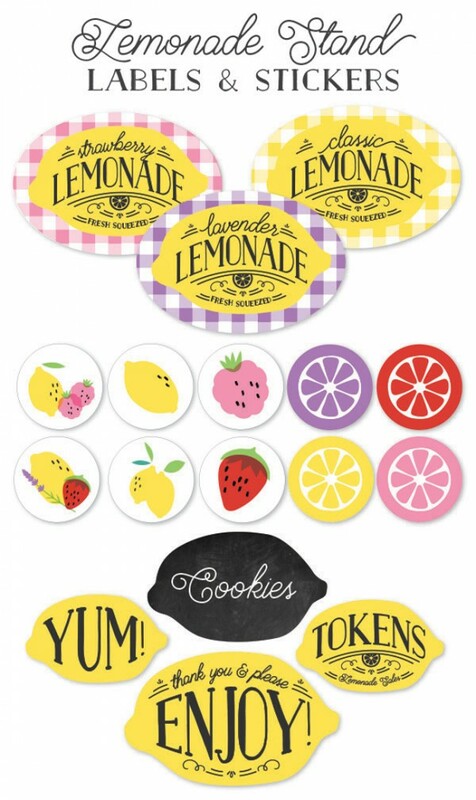 They have shared bright and colorful designs for your lemonade cups, bottles and treat bags as well as a sticker sheet of cute fruits and “Yum!” signs. Use them to secure the tops of your paper cookie bags, on plastic lemonade bottles or take away cups during your party. The sticker sheet can be used to decorate menus, invitations or thank you cards – the options are limitless. It’s a super fun design in a fresh color palette that’s perfect for Spring and Summer. To get your free printable label designs, download the file at the end of this post then print onto 8 1/2 x 11” full sheet labels and cut to size. You can customize the treat labels by downloading the free font, Brayden Script Regular, opening the PDF in Adobe Acrobat or Reader and selecting the place holder text. You can then type in your own treat names. We recommend using a circle punch for the sticker sheet if you’re pressed for time. You can see the entire children’s party design over at liagriffith.com. This entry was posted in Label Design, Uncategorized and tagged free label templates, kids labels, lemonade stand labels, printable labels on April 14, 2015 by wlmanager.